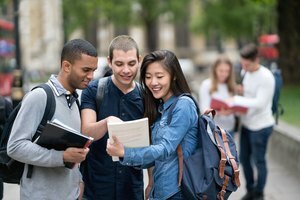 Since college tuition in the United States is very expensive, many students need to take out loans in order to be able to afford the costs associated with pursuing a higher degree. There are many kinds of student loans out there that can help pay for college as well as other forms of financial assistance, and most students will apply for federal loans through FAFSA before seeking out private loans on top of that. Unfortunately, federal loans, grants and scholarships may not provide enough money to cover tuition, room and board, fees and other college costs. This is why some students may have no choice but to take out a private student loan as well. And unlike federal financial loans, a private student loan requires a cosigner, which can sometimes be difficult to get for some students. In most cases, student loans that can be taken out without a cosigner can only be federal student loans. Federal student loans don't require a cosigner. While it is sometimes possible to get private student loans without a cosigner, it's usually very rare. The term "cosigner" is a word that comes up a lot when discussing how a person can finance their college education. You may have also heard of the term "guarantor," which is essentially the same thing as a cosigner. A cosigner or guarantor is a person who is agreeing to pay back your debt if you are unable to do so. Cosigners are not only relevant to private student loans but also for buying a car or opening up a credit card account. However, these days, cosigners are becoming increasingly important in the lives of young students who need help taking out loans for college. In these cases, a cosigner would typically be someone related to a student, such as a parent, an aunt, uncle or grandparent. Why Would I Need a Cosigner? A student would need a cosigner if he or she wanted to take out a private loan, and their credit wasn't high enough for them to be approved for it on their own. In order to take out a private student loan, a person would need to have a good credit score and a reliable income. There's no question that most high school students before going to college, don't have either of these two things, especially because one of the factors that determine your credit score is the age of your credit history. Students with parents who come from wealthier backgrounds may be able to set their child up for financial success at a young age. However, the child would likely not need to take out a private student loan in the first place. According to a report by MeasureOne on Student Loan Hero, 92.1 percent of private student loans taken out by undergraduates required a cosigner. Therefore, having a cosigner is the norm. How Can a Person Become a Cosigner? While it's difficult for students to sign off on their own loans, it's actually not that hard to find an eligible cosigner. In order to be a cosigner, the person must be a U.S. citizen or a legal permanent resident, have good credit and a steady income or pension. They should have a low debt-to-income ratio, and their credit score should be at least 680, but the application is more likely to get approved if that credit score is at 720 or above. Most students will ask their parents to become cosigners. Parents should sit down with their children and ask them a number of questions such as, "What's your plan for repayment?" "What will you do if you are struggling with making payments?" and "What about signing a cosigner release?" 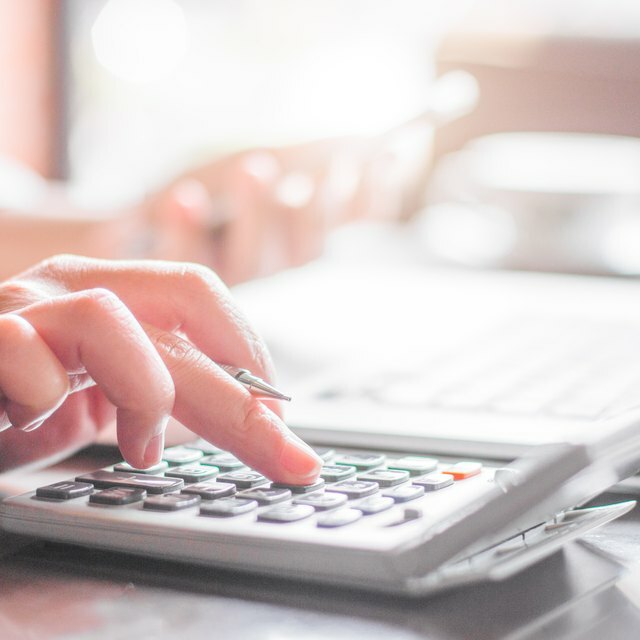 Because a person's credit score plays a major role when taking out private student loans, it's important to understand a little bit more about the relationship between loans and credit. First and foremost, when a person takes out a loan or cosigns on a loan, the bank will almost always check the credit score and credit report. A good credit score and credit report demonstrate to the bank or lender that you are responsible when it comes to paying your bills and you don't have too many debts in relation to your income or net worth. Institutions that provide private student loans will also be taking your cosigner's credit information into account when deciding not only if the loan can be disbursed but what the interest rates will be as well as the repayment options. Those with better credit will likely get a better offer. 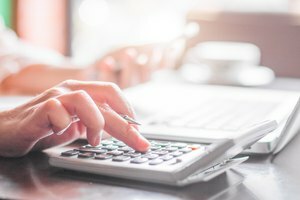 According to Student Loan Hero, cosigners with a credit score between the mid-600s and 690 may get approved; however, they should expect to pay the highest interest rates out there. Those with a credit score between 690 and 720 will get middle range offers by lenders, while those with a 720 and above will get the best options available when it comes to taking out a private student loan. If you're searching for a cosigner, then you should find one with the higher credit score. It's harder to get student loans without a cosigner and bad credit. Can I Apply for a Student Loan Without a Cosigner? You may ask, "Can I apply for a student loan without a cosigner?" Unfortunately, not all students have the ability to ask a relative to be their cosigner. Perhaps your parents have passed away, or the older relatives in your family have really bad credit themselves. This can be a scary thing. You want to have the same opportunity to go to school as others, but you can't afford to pay at the moment. While you can apply for a student loan without a cosigner, your options are very limited. If the student is a dependent, and the parents or legal guardians don't cooperate during this process, they can make it very difficult for the child to get the amount of money needed in order to pay for school. Though students without parental involvement can still likely get Stafford Loans, they may not get as much, since the FAFSA needs to take into account the parents' financial situation in order to determine how much the student can be eligible for. If this happens, the Stafford Loan will also be the only type of federal financial assistance they'll be eligible for. The first thing you should do if you definitely don't have a cosigner, is to apply for financial aid through the federal government via the FAFSA form. This is your best bet at getting as much financial aid as possible. Though many students will have to take out private student loans to supplement the financial aid they are given, it's important to note that 92.50 percent of the loans taken out during the 2017 to 2018 school year were federal loans. Choose a college that has affordable tuition rates, so that your financial aid can cover the majority of it. If you're still unable to get enough federal financial aid, and you don't have someone that can be your cosigner, there are some other things you can do. Though private loan lenders are very strict when it comes to giving loans to a student without a cosigner, it never hurts to try. Though banks and private lenders often have a strict protocol to follow, sometimes you can explain your situation and still get approved. Or you can ask your prospective college if they have a work-study program you could enroll in. If that doesn't work, then you could consider attending a community college part-time that has very low tuition rates and picking up a job on the side. While this isn't ideal, there are some benefits to it. For instance, you'll be able to start getting your college education and have less to worry about in terms of repayment later on. In the meantime, do what you can to start building your credit, so you can eventually transfer to the school you want to go to and take out the loans you'll need. If you're a person that does not have a cosigner to help you, that may seem like the worst thing in the world. But for some people, this may be a blessing in disguise. 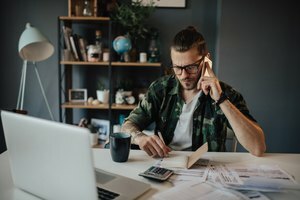 Many young students don't fully understand the commitment they are taking on when they take out student loans, especially private student loans with extremely high interest rates. Though the hope is to get a job after college with your degree that pays well enough to cover your bills and pay off your student loans, it's becoming more difficult for students to find a job that can do that immediately after graduation. Likewise, those who want to continue with their education and pursue an even higher degree will need to take out more loans to be able to pay for it. This can be a huge burden when you finally enter the workforce years later. While college is considered by many to be a once-in-a-lifetime experience, sometimes the debt just isn't worth it. If you're able to pursue your career path with certificate programs, training or just by taking a bit of a longer route to get your degree, then there's no problem with that, and you may be better off financially in the long run. LaRock, Hana. "What Are Student Loans Without a Cosigner?" 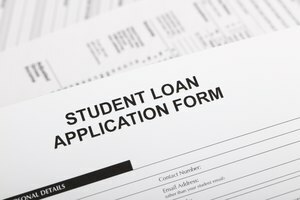 Synonym, https://classroom.synonym.com/what-are-student-loans-without-a-cosigner-13714940.html. 21 September 2018.